The use of this website is subject to these terms and conditions. If you do not accept these terms and conditions you should exit The Long Shop Museum website immediately. 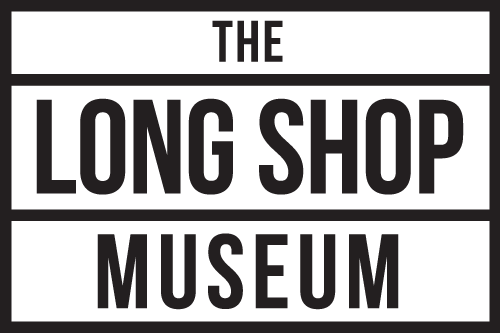 While The Long Shop Museum (TLSM) tries hard to ensure that this website is functioning correctly and is as accurate as possible, this will not always be achievable and therefore the following disclaimer applies. TLSM does not guarantee or represent that the content and/or facilities available or accessible via the website will always be accurate, complete or current or that access to the website will be uninterrupted. TLSM expressly disclaims all liability for any direct, indirect or consequential loss or damage occasioned from the use or inability to use the website, whether directly or indirectly resulting from inaccuracies, defects, viruses, errors – whether typographical or otherwise, omissions, out of date information or otherwise. Accessing the websites and the downloading of material from it is done entirely at the user’s own risk. The user, and not TLSM, will be entirely responsible for any resulting damage to software or computer systems and/or any resulting loss of data even if TLSM has been advised of the possibility of such damage. Unless expressly stated, the copyright and other intellectual property rights (such as, design rights, corporate identity etc.) in any material provided on the TLSM website remains the property of TLSM. Other TLSM-owned material on this website, including text and images, may not be printed, copied, reproduced, republished, downloaded, posted, displayed, modified, reused, broadcast or transmitted in any way, except for the user’s own personal non-commercial use. Permission for any other type of use must be obtained by contacting TLSM Marketing. Third party content images and content remain the property of the original copyright holder and as such may also be covered by other copyright laws. From time to time this website may include links to other websites. Such links are supplied solely for the convenience of users. TLSM is not responsible for the contents or reliability of the linked websites and does not necessarily endorse the views expressed within them, or the organisation or persons providing them in any way. TLSM does not guarantee that these links will work all of the time and we have no control over the availability of the linked pages. Providers of other websites may place text-based links to pages on TLSM website without seeking prior permission. However such links must not open TLSM website pages into frames within another website. Pages from TLSM website must be loaded into the user’s entire browser window. The use of TLSM logo must not be used for promotional or linking purposes unless prior approval in writing has been given. Please contact the Curator for details on obtaining such approval.